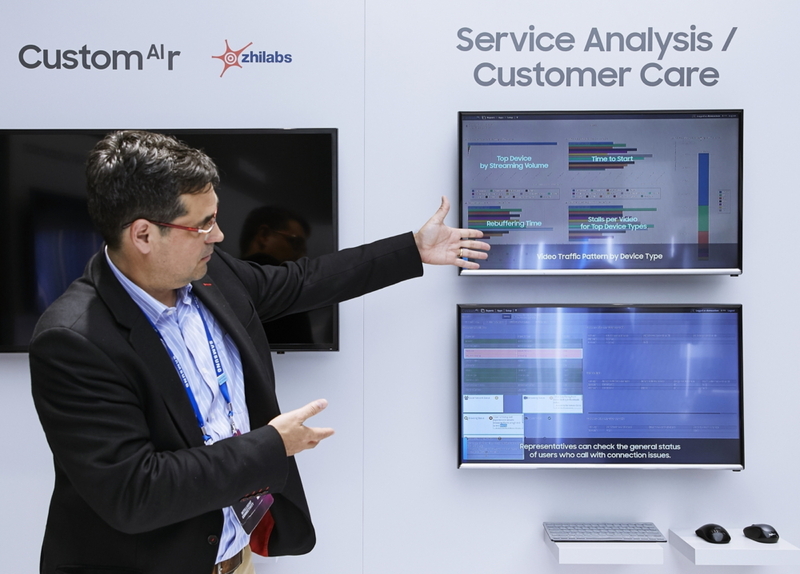 Following a full acquisition of Zhilabs in October 2018, Samsung has been developing its artificial intelligence (AI)-based 5G network management solutions; attendees are seeing how, through AI-based deep learning, this system helps to intuitively monitor and analyze 5G network performance. Read full press release for Everything 5G: 5 Highlights from Samsung at MWC 2019 here. A representative demonstrates how, through AI-based deep learning, Zhilabs’ solution helps monitor and analyze 5G network performance.